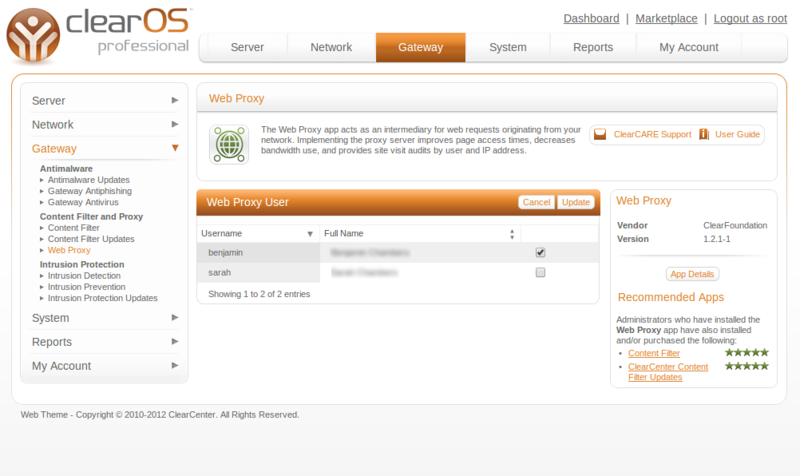 A web proxy acts as an intermediary server for web requests originating from the Local Area Network. Implementing a proxy server is optional, however, several benefits are gained such as increasing page access times (using caching), decreasing bandwidth use, logging website visits by user and/or IP and implementing access control restrictions. 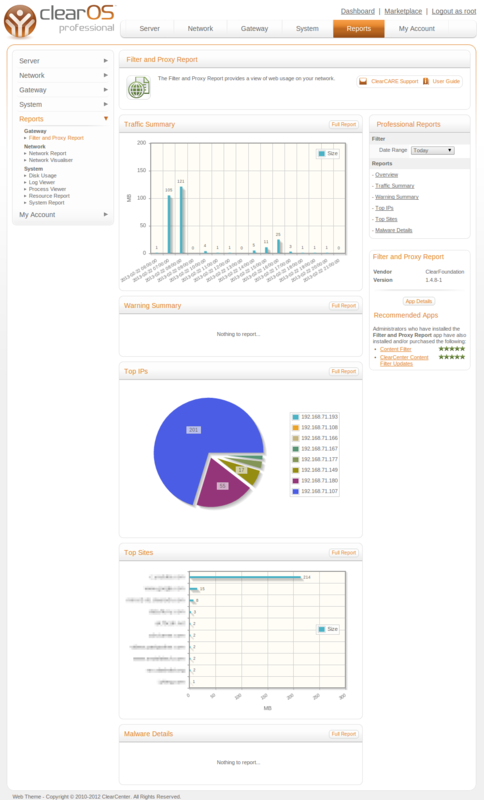 The FTP (File Transfer Protocol) Server app uses ProFTP (http://www.proftpd.org/) - a highly configurable, Open Source, FTP server software application. 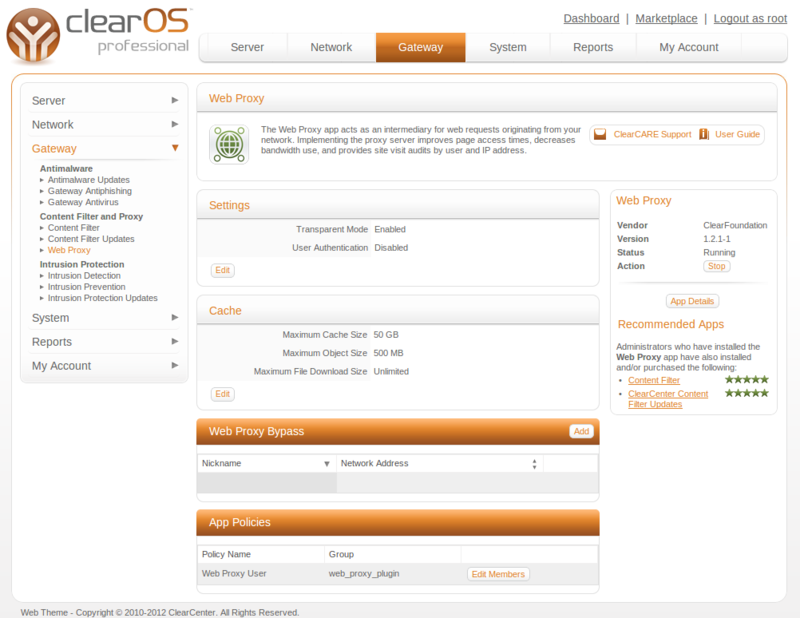 FTP can be used as a standalone service to provide file access (upload or download) by authorised users/services or in parallel with Flexshare - ClearOS's flexible document sharing application.